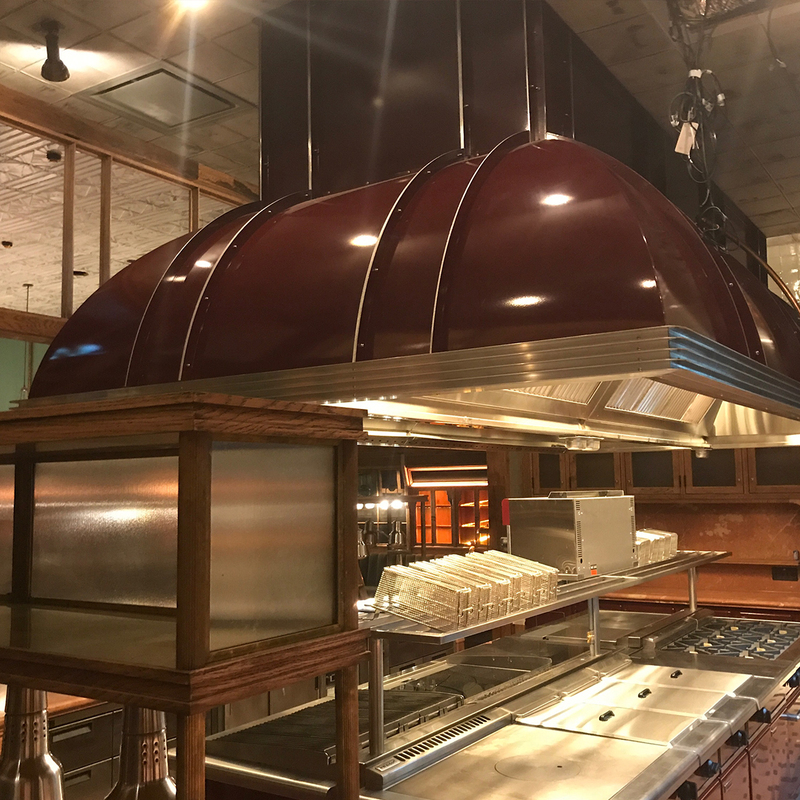 We were commissioned to supply and install four High Efficiency Canopies, placed together to form one large Island Canopy, and one dishwasher canopy. 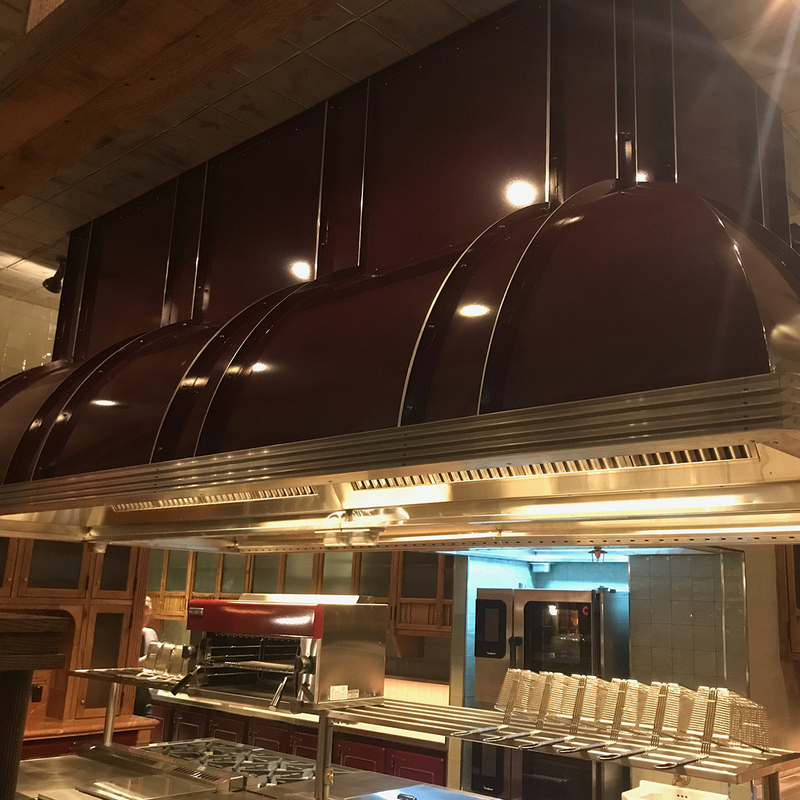 The designers opted for a dome shaped decorative feature to display above the canopies. 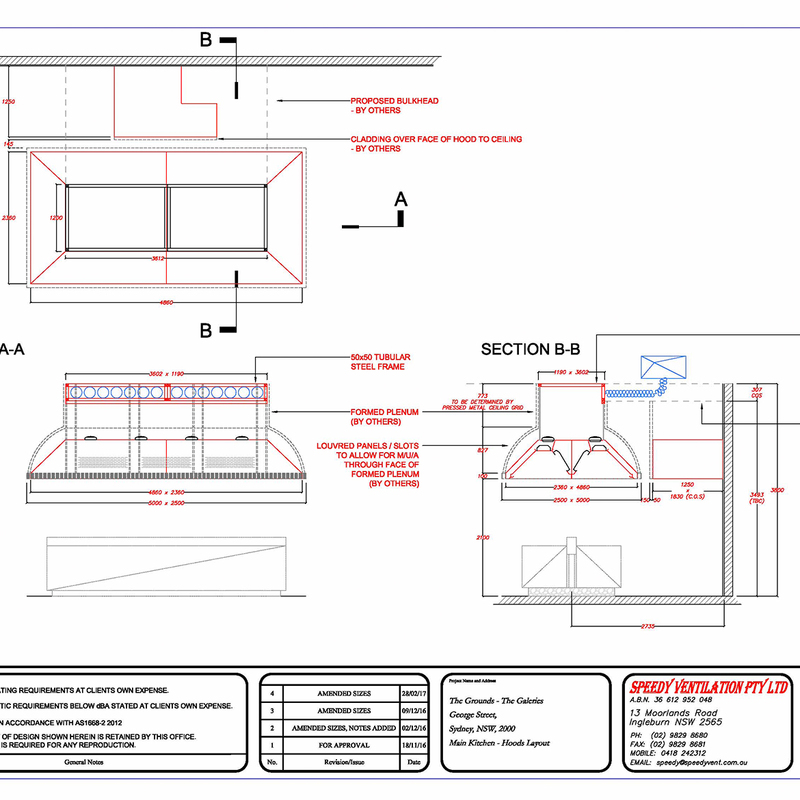 This meant we had the challenge of to customising a tapered hood to accomodate the dome and space available. 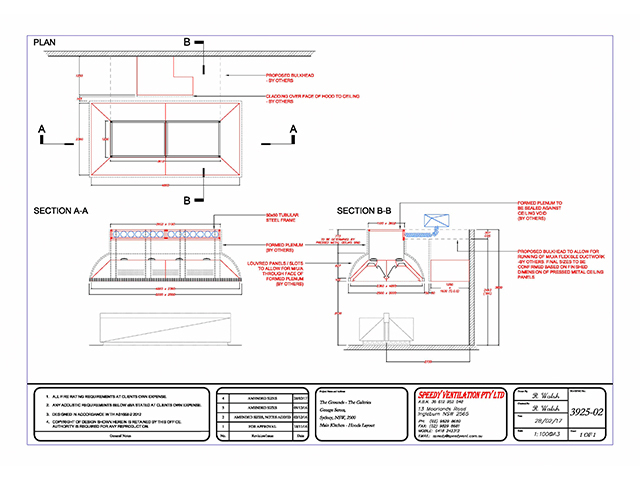 In addition, due to the location of a structural column, the canopies were further customised to fit around the column, whilst maintaining its optimum efficiency.